Police brought a thief to justice after he was captured on CCTV stealing a Paco Rabanne perfume tester from a Boots store. 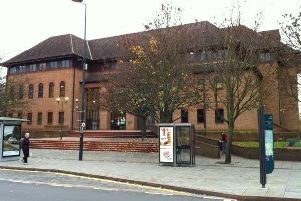 Chesterfield magistrates’ court heard on January 17 how Richard Andrew Perrins, 43, of Springbank Road, Chesterfield, was seen on CCTV taking the perfume tester from Boots, on Low Pavement, in Chesterfield town centre. Prosecuting solicitor Lynn Bickley said: “He was seen on CCTV taking the Paco Rabanne tester valued at £58 and putting it in his pocket and leaving the store. “He was monitored on the council’s CCTV and he was challenged and he handed it back undamaged. Perrins, who has previous convictions, pleaded guilty to the theft which happened on November 10. Defence solicitor John Wilford said it was an impulsive act and Perrins has been turning his life around and has also been getting help to deal with drug problems. Magistrates fined Perrins £40 and ordered him to pay a £30 victim surcharge and £85 costs.